An easy way to integrate the traditional Divine Office into your day! 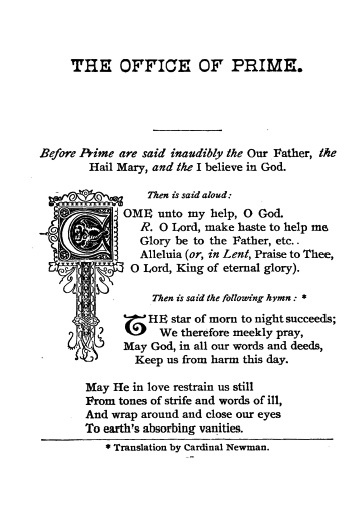 This simplified office of Prime in English was specifically recommended for morning prayer by the American bishops in the 1880s. It predates both the Vatican II changes and the earlier revisions of Pius X in 1911. No need to hunt down expensive multi-volume breviaries or to be tied to the Internet for the proper psalms and prayers. Just keep this handy 16-page booklet on your nightstand. 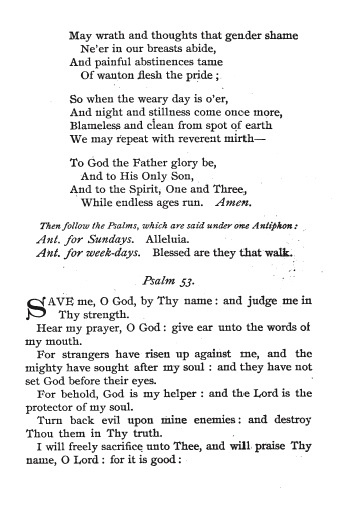 * Two invariant Psalms for all seven days of the Week (Psalms 53 and 118). * Proper antiphons for Sundays and weekdays. * Creed of St. Athanasius (Quicumque Vult). * Traditional English translation, with parallel Latin text for select portions (Creed, Confiteor). * Hymn translation "The Star of Morn to Night Succeeds" by Blessed John Henry Cardinal Newman.